This past Friday, May 27th, Dr. Robert Zarr, MD, MPH, FAAP, a board-certified pediatrician at Unity Health in Washington, DC visited CHC to conduct grand rounds for our providers. While he was here, he also led a Community Forum in which he discussed his renowned Park RX program. 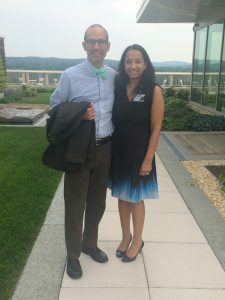 When I met Dr. Zarr, it was evident that he was excited to be here in Connecticut, discussing his work. Before grand rounds, Dr. Zarr took the time to talk to each person in the room. His passion for this program and its impact on the lives of his patients was clear from the moment he started speaking. I think it is safe to say everyone felt the same way. Park RX is a global movement that advises people to spend time in nature. Dr. Zarr started the program because he felt most of his patients issues could benefit from outdoor activity. Simply going outside and walking around helps with depression, anxiety, diabetes, weight loss and more. No crazy diets or medicine just a small life change of spending more time in nature. Dr. Zarr shared a number of interesting facts. My two personal favorites were: if you can’t get outside you can look at a photo of nature because studies show it will help lower blood pressure and stress. The second: walking in parks improved focus in children with attention deficits. During the Community Forum, Dr. Zarr shared he and his team for DC Park RX have taken the time to map and rate 350 parks in the District. They also developed a one page description of each park. If a physician, patient, or community member in DC visited http://www.dcparkrx.org/ they could select a location, park information, amenities and more to find the perfect park. As he spoke, the forum participants were extremely engaged and the conversation flowed naturally and smoothly. It was refreshing to see so many people interested and engaged. After grand rounds and the community forum, Dr. Zarr visited two parks here in Connecticut. He was so excited and couldn’t wait to see what they had to offer. 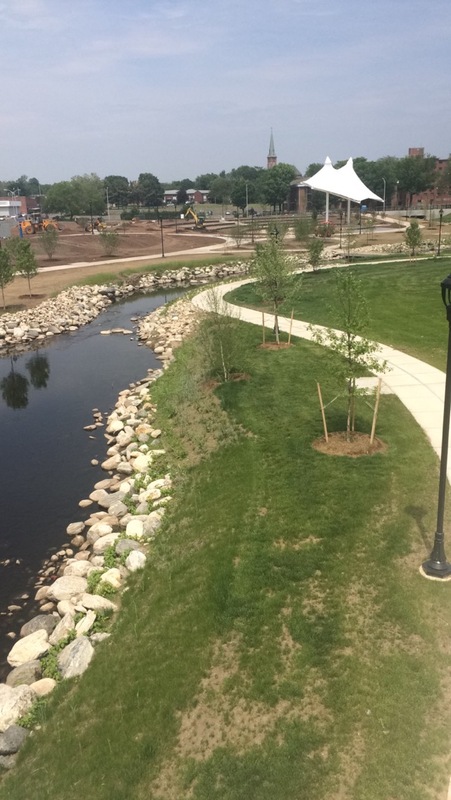 One park he visited was Meriden Green, which is still under construction and set to open this summer. The joy on Dr. Zarr’s face walking through the park was contagious. Dr. Zarr envisions his program expanding to communities across the country. He has had multiple meetings and hosted a number of different events teaching people about the program and all it has to offer. It is a great idea! Who wouldn’t want to know what parks were around them with a description of everything they have to offer? I hope Dr. Zarr and his Park RX Program achieve as much success as possible. It is a great program that I would love to see implemented across New England.